This was my boy yesterday morning when he ran his first 5K. He is 8 years old and probably only weighs 40 pounds. That's 40 pounds of muscle with a few bones stuck in. God made him an athlete, and he made him fast. Josiah won second place in his age category, with a time of almost exactly 23 minutes. Josiah's real love is soccer, but he has been training in track this school term. However, he had never run such a long distance before, so we weren't really sure what to expect. Just have fun, we told him. Let's see what you can do. I was so proud of him, and even got a little teary when he roared across the finish line. But because of the different start times, I didn't really realize how well he had done until we went online to see the stats last night. There were 84 participants. Only two were younger than Josiah. He placed sixth out of 84 people. Then I started thinking about all these top runners. James? Also adopted from Tanzania. Alidi, Moses, and Rashid? All boys from a slum across the road from HOPAC. A group of men from the HOPAC community have been deeply investing in these three boys (and others) for years now, training them in both sports and the gospel. I thought about James and Josiah and what their lives would be like right now if they had not been plucked out of that orphanage (both boys from the same one!). I thought about Alidi, Moses, and Rashid, and how the annual 5K has become such a bright spot in a life of poverty. And then I thought about the millions of others like them, all across Tanzania and the world, who will never get this chance. Even Alidi, whose favorite day of the year is probably the 5K, has to content himself with running at a small community race, instead of an all-state event in front of college recruiters. How many other young boys and girls are out there, DNA brimming with Olympic athleticism, or Ivy-League intelligence, or musical genius? Yet they'll never have a real soccer ball, or a classroom with less than 100 students in it, or a piano to practice. And it hit me that one of the (many) privileges of being wealthy is the ability to see my children find their potential. And have a shot at reaching it. It makes me wonder how many millions of those in poverty are ignored, oppressed, or spat upon, when all they really need is a chance. Or how often I have taken advantage of my wealth and opportunity and forgotten what a what a huge privilege my life really is. I've resolved not to forget. Or waste it. In America, I was not a Pizza Hut fan. I would always choose Round Table or Papa John's....or almost any other pizza place over Pizza Hut. But then I lived in Dar es Salaam for 12 years, and experienced ketchup used as pizza sauce, hot dogs as a topping instead of sausage, and whole olives--pit and all, rolling around on the top of my pizza. As the years went on, the pizza (at some places) has improved, but it's still the European, brick-oven variety, which means thin crust, thin cheese, and just....thin. I know. I deserve a lot of sympathy. Life is hard. 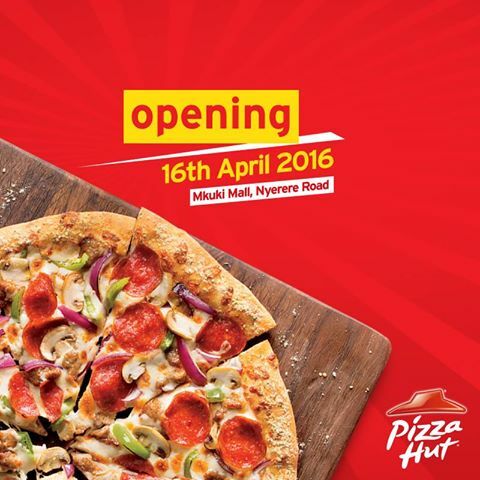 So you can imagine how we all rejoiced to know that Pizza Hut would be opening in Dar es Salaam. It takes us an hour to get there, unless it's rush hour--then it's two hours. 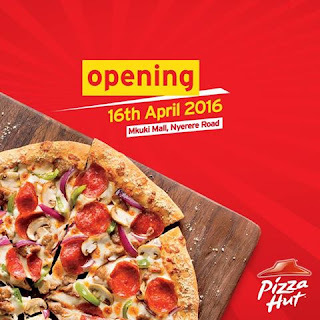 But who wouldn't travel to the ends of the earth for Pizza Hut? "Does it taste like the real thing?" They assured us that it did, and when we finally got a chance to test it ourselves, we wholeheartedly agreed. Chewy, greasy, totally processed and full of preservatives. It was glorious. As you can see, the menu does reflect a bit of the local culture. There are no pork products because Dar is a majority Muslim city. "Macon" is a bacon substitute made out of mutton. I'm guessing that most Americans have no idea what paneer is, or maybe even tandoori chicken. 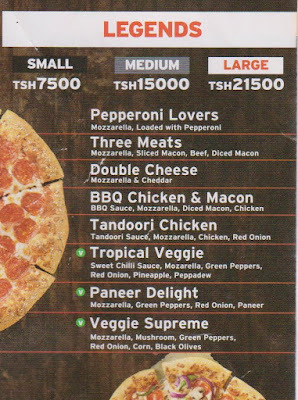 And even though we love both paneer and tandoori chicken, we'll never be ordering it on pizza. As far as we're concerned, the only thing we're interested in is pepperoni. Ah, pepperoni pizza, how I've missed you. Hot dogs can just never substitute. If you had a daughter who was anorexic, what would you do? Would you let her starve herself to death? Or would you do absolutely anything to get her healthy again, even if it meant hospitalizing her against her will? If you had a suicidal friend, would you stand by and watch while he jumped? Would you think, "Well, I guess this is what he wants, so it must be the best choice for him?" Or would you wrestle him to the ground if you had to? Society tells us that love means unconditional acceptance. Love means tolerance, listening, empathy. And it means never telling anyone they are wrong. Our culture has constructed a new moral law: Treat others as they want to be treated. There's even a name for it: The Platinum Rule--because it is said to be superior to the Golden Rule. Treat others as they want to be treated. Is that love? But how far does that go? Do we treat the anorexic or suicidal person the way they want to be treated? It's obvious that we do not. But one could argue that such people are mentally ill. Yet even our categories of mental illness are changing on a daily basis. My last post was an apology to non-Christians for our often stark absence of love. I've seen it way too often--on the internet, in our priorities, in how we choose to present ourselves to the world. But the tricky part is that Christians must define love according to the Bible, not according to our culture. When Jesus got down in the dirt with the adulterous woman, he stopped those trying to punish her, and instead treated her with kindness and compassion. But he didn't end there. Go and sin no more, he told her. And that's where Christians tend to swing between two sides of the pendulum. They choose the compassion, or they choose the judgment. Yet to follow in Jesus' steps, we must have both. 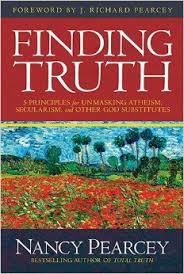 As society continues its plunge into relativism and obsession with feelings, Christians will be more and more despised for our insistence that God's standard is the best. Our new reputation as "haters" is difficult to swallow, especially since American Christians have long since enjoyed the reputation as "nice" and "respectable." It's hard to give that up. The temptation will be to retreat into a cotton candy version of love, which claims that we all know what's best for ourselves so the best way to love is to never criticize another's choices. If we live according to a biblical worldview, then we know that every person on earth is mentally ill. We might not be anorexic or suicidal, but we all have skewed self-perceptions of ourselves or reality. So which is more loving--to treat people the way they want to be treated and allow them to self-destruct, or to do everything we can to stop them in their tracks? I believe that an all-powerful, all-seeing, all-knowing God not only exists, but communicates with us. I believe that he has set a moral standard for all people, that none of us can meet that standard, but that he will hold us accountable for it. I believe in a literal heaven and hell. I believe that Jesus' death and resurrection opened the only way for me to know God and one day live with God. If I really, truly believe this, and would stake my life on it, then would it be loving for me to shut up and keep it private? Would it be loving for me to tell people that they can live their lives any way they choose and God will be okay with it? Let us not forget that mercy and justice met at the cross. We cannot preach the cross without including both. Anything less is to cheapen Jesus' sacrifice. So what is love? If I am certain the Bible is true, if I am confident that it is life-giving, life-transforming, and the greatest treasure on earth, do I let the people around me careen off a cliff without warning them? The problem is that for far too long, the church has spewed out judgment without compassion. Justice without mercy. Many times, we have rightly earned the reputation of being hateful. But in our quest to love, let's make sure that we define it correctly. If we are going to be despised, let's make sure it's for the right reasons. Love also speaks the Truth. 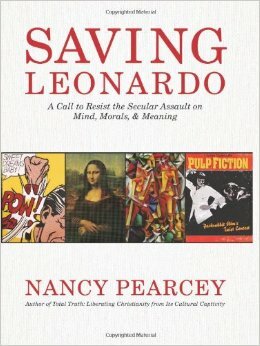 As we navigate these culturally tricky times, may I strongly encourage every thinking Christian (or non-Christian) to read Saving Leonardo (at least the first half) and Finding Truth by Nancy Pearcey. 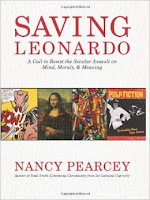 If you are seeking tools to thoughtfully, winsomely engage others in rational discussion about our changing culture, these are incredible resources. They will change your thinking and your life. "Wow, I just changed my strongly held opinion on that issue because of a harsh comment by a stranger on the internet." .....said absolutely no one in the history of the universe. If you do not consider yourself a Christian, this is for you. Please let me take this opportunity to apologize to you on behalf of Christians everywhere. Because sometimes, I am mortified to identify myself as one. I don't know who these Christians are who love to drop critical comments on internet articles, but they are not me. And I'm not really sure what exactly they are trying to accomplish when they post such harsh, mean-spirited words. Do they really think that people are going to care what "God says" about a particular issue, if their readers don't believe in God? Do they really think that saying anything in a mean, critical way is going to attract anyone to Jesus Christ? Sometimes I want to just despair. Or throw up. Many times, Christians deserve the reputation of being judgmental, self-righteous prigs. We have brought that upon ourselves. We are far too concerned about our needs, our rights, and our safety, and we find it much easier to hold up a picket sign, boycott a company, or leave nasty comment on the internet than to actually get out there and love people. I must admit that I'm totally perplexed. Christians say we are followers of Jesus, yet Jesus himself specialized in compassion. Jesus' harshest, most condemning words? They were reserved for the self-righteous religious leaders who loaded people up with legalistic rules. But the people that society cast out? Jesus ran to them. Those who were considered "untouchable?" Jesus treated them with dignity and respect. Women, prostitutes, the handicapped, gluttons, drunkards? Those were his friends. If you are disgusted with Christians, I don't blame you. Jesus said our job is to help hurting people, and sometimes it seems like the best we can do it throw Bible verses at them. Instead of listening, we criticize. Instead of compassion, we boycott. If that's all you see, why on earth would you be attracted to Jesus? Now, don't get me wrong. I believe there are many Christians out there who are doing just that--living sacrificial lives, loving unconditionally, and being excellent neighbors and co-workers. Many are my friends. But unfortunately, they don't get the attention. The boycotters and the internet trolls do. For this, I apologize. I have no idea why those who bear the name of Jesus could ever think that being mean-spirited and unkind would ever be God's will for their lives. However, I realize that I can't apologize for everything Christians say or do. You and I are not going to agree on everything. Christians believe the Bible should be the standard of morality, and that's going to make some people hate us no matter how we act. If we're really living what we believe, then our faith can't just be something "private" that we don't talk about. I hope that there is still room in our society for honest, rational discussion. But I hope that Christians would pursue the reputation of being kind, gracious, and respectful, even if others disagree with what we have to say. I hope you might think, Her views seem so wrong, but I just can't get over how kind she is. So will you do me a favor and try to ignore the mean ones? They don't represent all of us. They definitely don't represent Jesus. Everyone does need a little Grace in their lives. I hope that's what you'll find here. I hope that's what you'll find in the next Christian you meet. Okay, so I chose that picture for my last post because it was the most cliched missionary picture I could find. 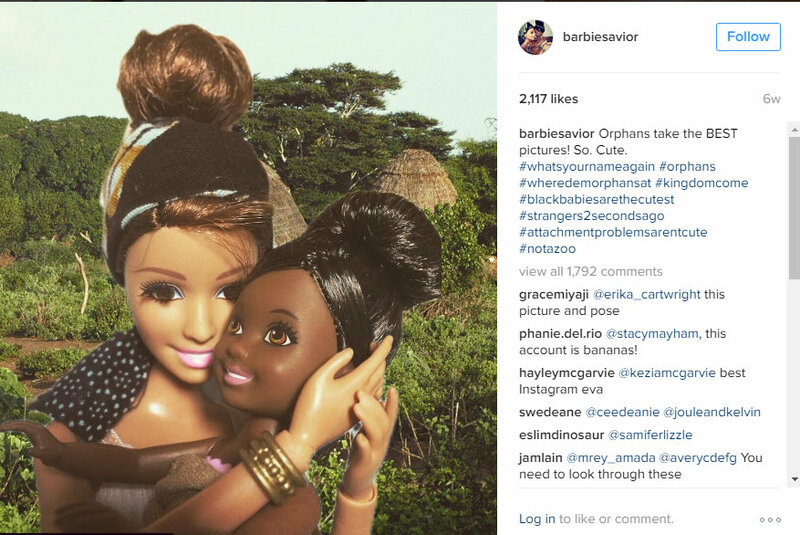 I suppose I could have picked a picture of myself with random African Orphans. I've got lots of those too. Shoot. I even wear headbands made of local fabric. 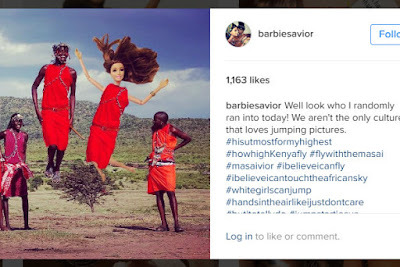 In case you have no idea what I am talking about, White Savior Barbie has been going viral on social media. I'm not sure if she's only popular in my part of the world, or if you have seen her too. 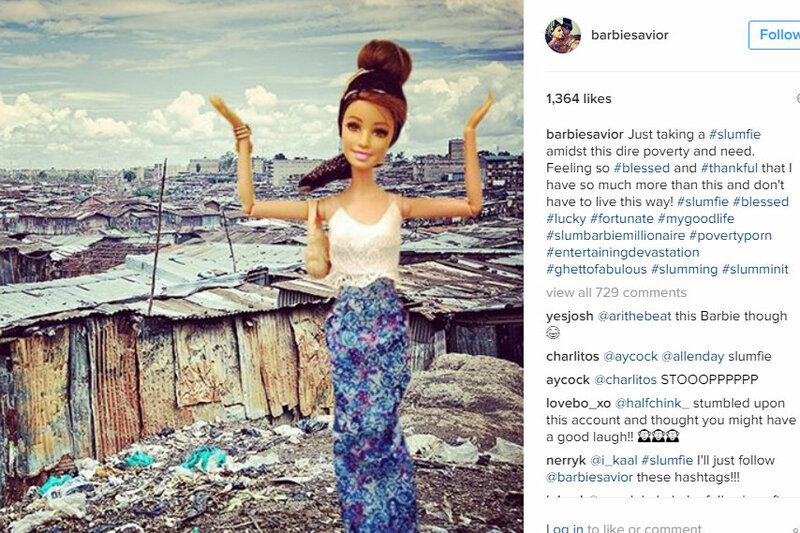 "Just taking a selfie amidst this dire poverty and need. Feeling so blessed!" 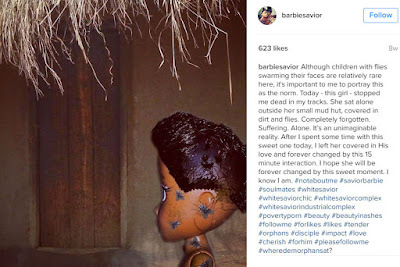 "Although children with flies swarming their faces are relatively rare here, it's important to portray this as the norm." 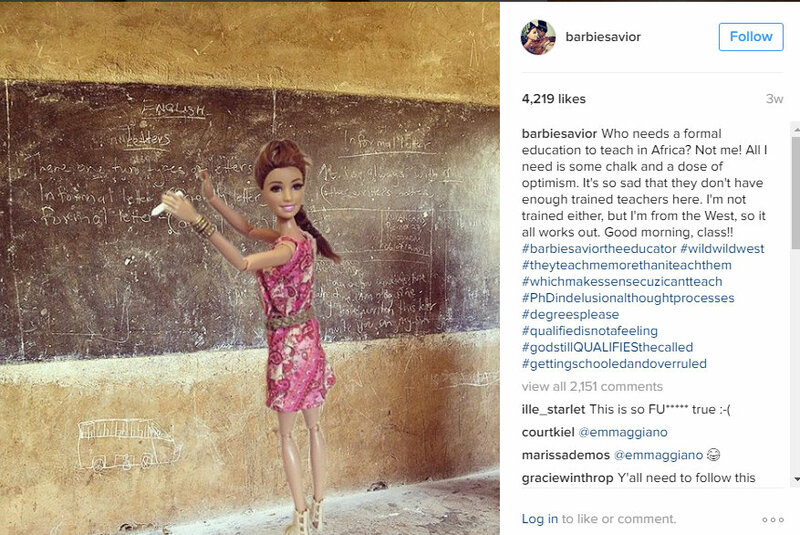 "Who needs a formal education to teach in Africa? Not me! All I need is some chalk and a dose of optimism." Thankfully, my total lack of fashion sense (and ownership of zero high heels) will never allow me to be confused with Barbie. 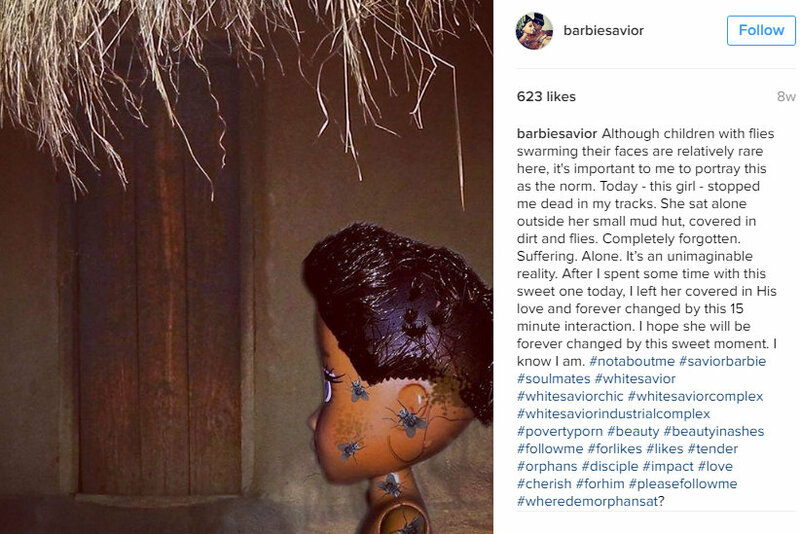 But even as I am highly amused by the creativity of this account, it still makes me squirm. And so it should, along with every other non-African visitor on this continent. Am I here just to feel good about myself? Do I see myself as better than Tanzanian citizens, as having the answers that they don't have? Do I pity the local people? Do I see my life as so much better than theirs? Is living in Tanzania all about creating a unique identity for myself? As a 7th grader growing up in west Africa, I wrote in my journal, Liberia is me. I belong here. I loved the uniqueness of my life. My heart was torn by the poverty I saw around me. And I did want to grow up and make a difference. So perhaps there is a bit of White Savior Barbie in me after all. Or rather, perhaps there was. After living on this continent for half of my life, my idealism has been shredded by the reality of life. I've witnessed the damage done by those who went before me. I've come face to face with the complexity of poverty. I've experienced how brokenness breeds more brokenness. I have been beaten down by my own weakness, by my inability to live for a week without electricity, my lack of endurance in the suffocating heat, my discontented heart with the roads or the water or the bugs. I'm quite certain I don't have the answers. In fact, I'm no longer sure that I have any answers. I no longer worry about idealism clouding my thinking; instead I worry about cynicism preventing me from persevering. Am I even supposed to be here? Wouldn't it be better if I just left? But maybe that's why I need to stay. Because I'm in that place of knowing I have nothing; I am nothing. I look up from the dust and I see that there is a specific need that Gil and I can fill, and that God has uniquely placed us to fill it at this time and in this way. So I stay. For now. So we limp on. 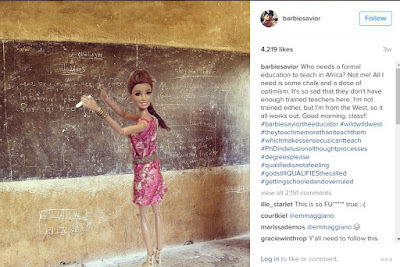 And that would be my advice to all the other White Savior Barbies out there: Allow yourself to be broken and to be emptied. It will take a whole lot longer than weeks or months or even years. Sticking it out long term, with an attitude of humility, is how God just might be able to use you. And your pictures will never be able to tell that story. Yesterday evening, our friend Mark and his daughter were over to watch the big game (Leicester vs. Manchester United, for those of you who appreciate these things). Gil was trying to get the internet to work, and the kids were horsing around in the projector light. Johnny had on a pair of plastic sunglasses, and he was pretending to rap the way his brother had in a class assembly last week. Suddenly, we heard him scream. Kids get hurt and cry all the time, but in those few moments, we realized quickly that this was not just a whiny cry. And blood was trickling out of Johnny's eye. He had jabbed himself with the sunglasses. Gil and I quickly rushed him to the bathroom. His eye was bloodshot, and the blood was coming out of the corner. Seconds later, his eyeball filled with blood. I snatched my phone and called the emergency number for the medical clinic where we are members. The doctor asked a few questions and then told us to bring him in. Mark offered to take our other kids to his house, so we grabbed their toothbrushes and sent them in his car. I was wearing shorts, which I have never worn out in public in this culture, so in a frenzy I found a wrap and my purse. Five minutes after the accident, we were out the door. I held Johnny's head on my lap in the car while Gil frantically tried to push the car through the ever-present traffic. About 20 minutes into the 45 minute trip, Johnny stopped crying. I checked his eye, and it had stopped bleeding. It was bloodshot and red, but the Darth Maul look was gone. The doctor confirmed that he would be okay. The accident had burst a blood vessel, and the blood had come out through his tear ducts, making it look a whole lot worse than it actually was. We have to watch for infection, but he should be fine. Though I don't think about it too often, I've always had those what if moments thumping around in the back of my consciousness. Last night, I wondered if one of those moments was actually happening. Johnny's adoption is not yet finalized. Which means that he is not on our health insurance. Which means that he doesn't have a passport, so we would not be able to evacuate him in an emergency. Though it is improving significantly, high quality healthcare is really limited here. We are members of a great clinic, which allows us to use their 24-hour emergency number. This is important because there is no 911, and if you want an ambulance service, you have to pay a hefty monthly fee. Plus, we've never been convinced that an ambulance can get through Dar's legendary traffic much faster than anyone else. Anyone who can afford it gets evacuated to Kenya or South Africa in an emergency. So even with my other children, who are on our insurance and do have passports, I've always wondered what exactly we would do in an emergency. What if there were only minutes to spare? What if even medical evacuation wasn't fast enough? Our kids have always been remarkably healthy, and this was our first semi-emergency for any of them. In fact, the only other time we've used that emergency number in 12 years was for Gil. But what if. There's a family serving in Mongolia--friends of friends--who are dealing with that reality right now with their sweet baby. It happens. It could happen to us. I don't have much choice, do I? I can fret over all the things I will never be able to control, or I can trust the God who brought me to Tanzania, who gave me these children, and who knows every time a sparrow dies. I know that he doesn't guarantee that my children will always be healthy and safe. But he does guarantee his presence and his goodness. So today, I am thankful. Thankful that we can afford the best clinic in town, that Johnny will be okay, and that my God is good. All the time. Even if the ending hadn't been happy.